UFO Chronicles is an unprecedented and uncensored film series featuring the top authorities on the UFO enigma. Pilots, Astronauts, Government Officials, Military Officials, Medical Experts, Scientists, Religious Leaders and more reveal in never before seen interviews the ramifications of the Alien Presence on planet Earth. The UFO Chronicles collector's series discloses information you were never meant to know. Join historian and lecturer Richard Dolan, author of critically acclaimed book series UFOs and the National Security State and Nick Pope, known as the "Real Fox Mulder", who worked as a special investigator regarding UFO's and aerial phenomena for the UK's Ministry of Defense until 2006 and is now a freelance British journalist and media commentator on the subject. 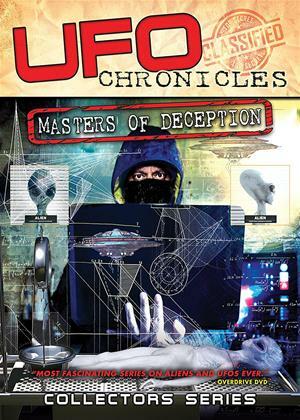 This edition of UFO Chronicles reveal insights into the UFO enigma and the Alien Presence on Earth exploring the role of global corporations and the one world government movement and how it influences the cover-up of the UFO phenomenon today.